As it turns out, your habit of maneuvering furniture into new arrangements is quite brilliant. Moving furniture and changing up your styles (or adding style) has a number of real and surprising benefits for you, your health, your belongings and your wallet. I’ve never been ashamed of my room rearranging habits, but I’ve had more than a few people thinking I’m on the outskirts of sanity. Not because of how often I rearrange – which might boil down to a few times per year – but because most people buy or rent a home, move in, put their stuff in place and never change a thing. That’s not how I live. 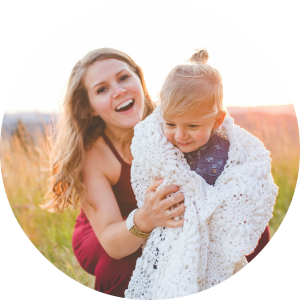 So, while all along I knew I wasn’t crazy, I’ll admit it was freeing, rewarding, motivating, and surprising to actually sit down and consider all the reasons this kind of behavior is actually a good thing. Practice makes perfect. I’ve lived in my current home for six years now, but do you know how long it took me to find the perfect arrangement of furniture and decor? All of those years. I love my current arrangement and styles, but they won’t stay for too long, because I’ll figure out a style or placement that works even better. New perspective. Moving furniture is like mixing up your scrabble pieces – if you keep your pieces all in the same place, you lose sight of their potential. Moving them around stirs your brain to consider new possibilities, which allows you to see your furniture differently and, very likely, use it more beneficially. Occasionally, using an item more beneficially might actually mean tossing it out. Clean the hidden mess. Relocating furniture that has been in one place for months or years means you get to clean under and behind it. You really don’t realize the junk and dirt and issues that hide behind your couch and bookcase when they sit there for years. Plus, you’re keeping pests on their toes. Spiders don’t thrive in high traffic, constantly changing spaces. 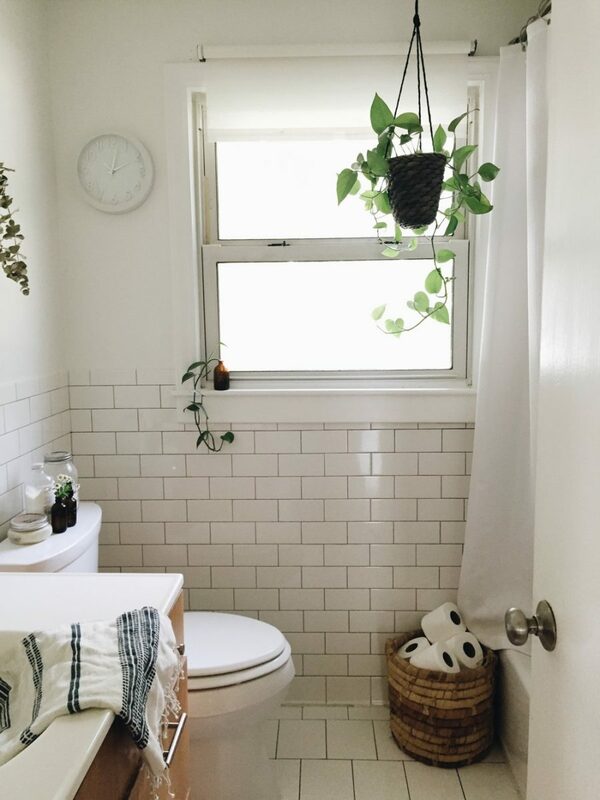 A simple, airy, bright bathroom – Home Tour of Bev Weidner over at School of Styling. Extend the life of your space. Furniture and carpet fade and wear down with constant, repeated use and exposure. Ordering your furniture in ways that move pieces out of direct sunlight for a time can reduce fade, and mixing up the way we travel on carpet or hardwood will help to distribute wear more evenly, extending the life of your flooring. Break the stale. Have you ever noticed how having newly painted rooms or new pieces of furniture can bring about a new excitement for that space? Rearranging furniture can have the same effect. A stale room is a room that never changes. Bright, fresh, and welcoming. Image by Alice at Thoughts From Alice. Stop the spending. 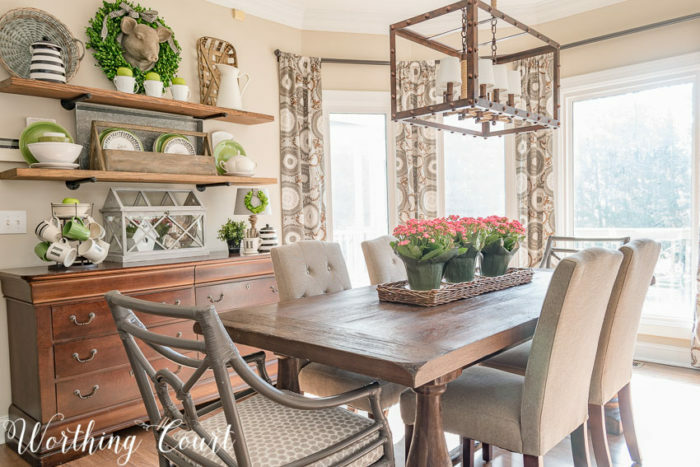 Using furniture and decor you already have in new ways can save you money. You’re less likely to buy new stuff if you use what you have in creative rotations. Unfortunately for us (and for our spending), we tend to become bored very quickly when things stay the same. Quite often this boredom resolves itself temporarily through the thrill of shopping and new purchases. Changing up what you already have saves you money almost every time. Organization inspiration. Moving your furniture and belongings around can spur organization. You are more likely to question the piles of things hidden away or stored under furniture, providing incentive to donate or organize more appropriately and efficiently. Clean, organized perfection over at Glitter Guide. Image by Torrey Fox. “Renovate” on a dime. Rearranging your furniture is the cheapest form of renovation. 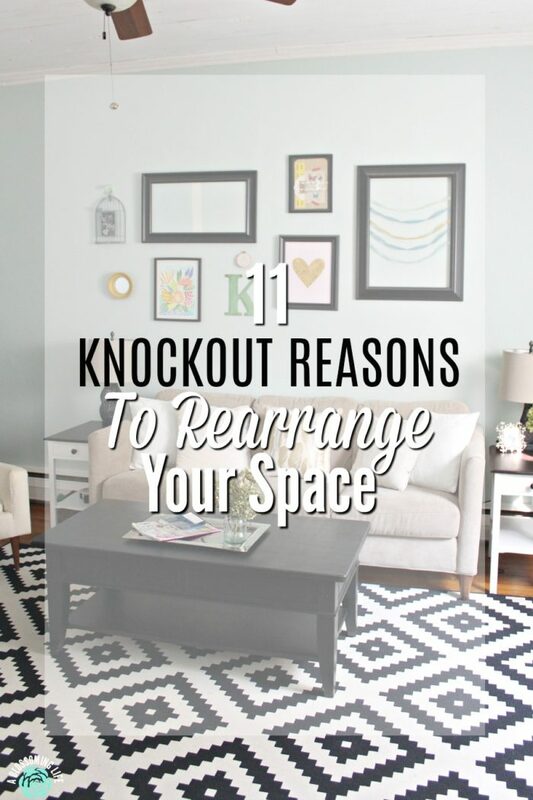 You can drastically change a space simply by relocating furniture from the same room and other rooms. Furniture from each room is up for grabs! I’ve recently refinished a dresser that was in my bedroom, and after it was complete, I realized it would look great and serve an incredibly functional purpose in my dining room. It’s gorgeous in there! As a result, my bedroom is much more spacious. It serves to show how some pieces that have always been room specific might not be reaching their full potential with such a limitation. Stunning spring breakfast area display at Worthing Court. Correct me if I’m wrong, but the buffet looks like a dresser, which I think works perfectly in that spot! Furniture from any room in your home really can be more versatile than originally thought. Image by Suzy at Worthing Court. Heighten happiness and relieve some stress. Rearranging a room can really improve your attitude. Living in space that feels new, clean, and organized just makes you feel happier and more content. Organizing and decluttering decreases stress, as well. 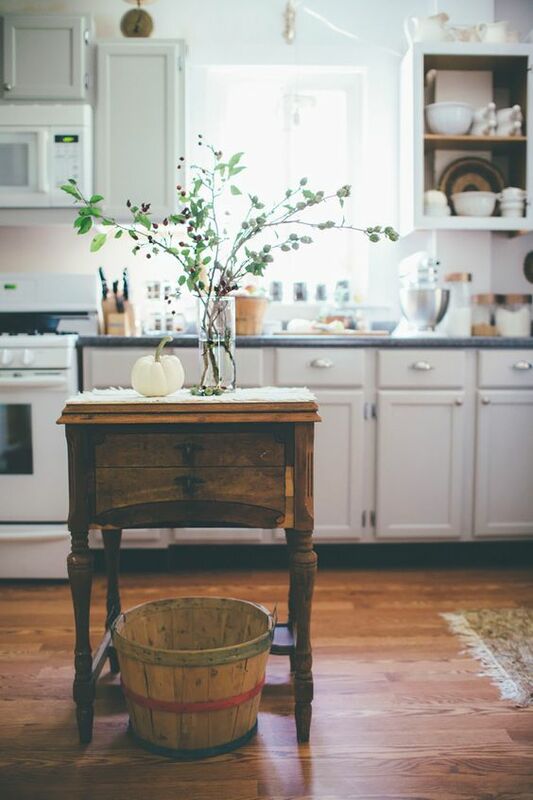 A clunky, cluttered, dusty space can dampen any mood, but an airy, clean space that can be navigated easily is inspiring. Open the door to further motivation. Once you get started, you are far more likely to continue. 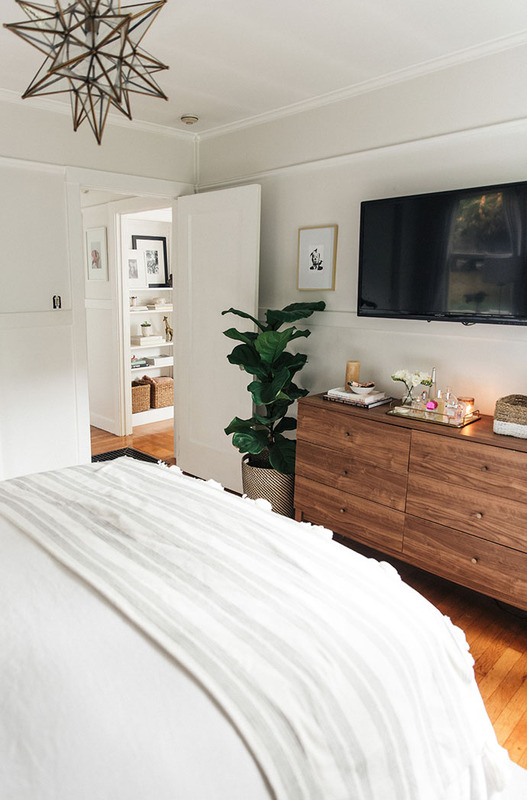 Meaning, once you begin moving your furniture and decor into a new style, you are much more likely to be motivated to paint that dingy TV cabinet that has skated by for far too long. And once you have your painting materials out and accessible, other projects that felt so far off won’t seem quite so daunting. If you feel as though you lack creativity or inspiration for a new arrangement, don’t stop there. Reach out! Your design-minded friends would love to give you pointers, and Pinterest has endless ideas and inspiration. Browse stores, flip through magazines, and keep an eye on your friends’ homes and style. There are ideas everywhere when you are looking for them. *To better understand how you can add value to your home through rearranging your furniture and removing clutter, follow the link below. Great tips!! I love rearranging! My mother in law has an entire garage full of furniture and decor. When we lived closer we used to “shop” her garage and switch out pieces when we needed something new. Now my mom and I switch ours around since we live closer. Rearranging space is almost as good as moving house. But without the hassle! I love what you have done to your home!